The iPhone is one of the best phone you can have if you’re someone who is constantly listening to music. The iPhone is a great music player out of the box. It allows you to sync music with iTunes, which is a great program to have your music organized. 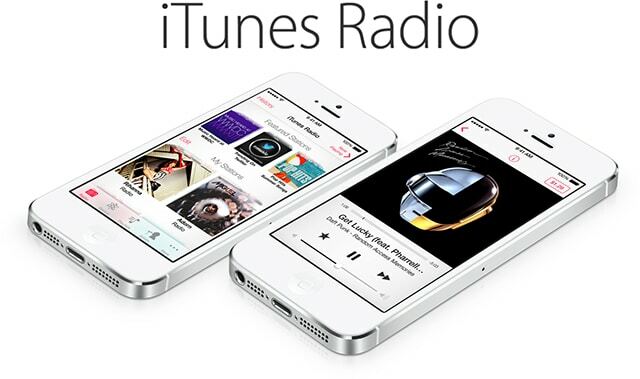 You can also buy songs from iTunes and download it straight to the Phone very easily. But if you want to use an app on your iPhone other than iTunes to manage your music, there’s a ton of apps that allow you do many different things with music content. With a music app on your iPhone, you can go from downloading music straight from your phone to editing or mixing any of your songs. Here are the best free iPhone apps on the App Store for music management…. One thing the official YouTube app will not let you do is play a video in the background. The only way to play a video in the background is by using YouTube in Safari or a web browser. The free version of the iTube app lets you search for songs on YouTube and create a playlist of all those songs. The app will play all the videos/songs in the background continuously. You can download iTube FREE from iTunes / App Store. 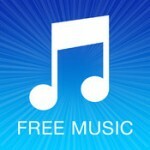 With the Free Music Download app, you can download music to your iPhone without iTunes or a computer. The app features a download manager, media player, and a web browser. Within the app’s web browser, you can download any MP3, M4A, or WAV audio files. Once you click the download button on a legal music site (up to you), the web browser in the app will let you preview or download the audio to your iPhone. Like the iPhone stock music app, the Free Music Download app also lets you organize your downloads in playlists. Get the Free Music Download app on iTunes. 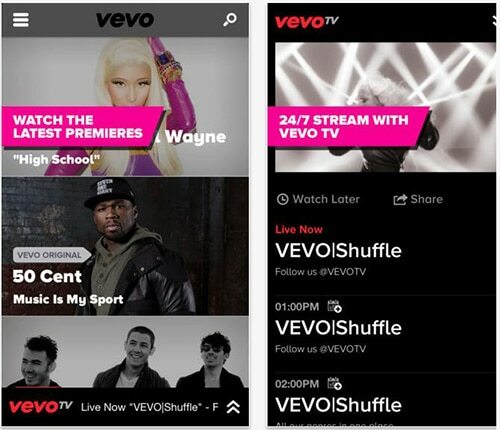 If you want to keep up with artists’ latest videos and music, then you should download VEVO‘s iPhone app. The app lets you stream videos from VEVO’s massive library which includes music videos, live performances, and original shows in HD. You can create a local playlist without a VEVO account on your device. The app also allows you to match your music with the app and easily find your artist videos. Download VEVO TV for the iPhone from the App Store. Want to make a small party with your friends and don’t have a radio or a speaker but all of ya have an iOS device? Well, you can make a loud speaker using those iOS devices. The Seedio app will connect the iOS devices and turn them into one perfectly synchronized loudspeaker. The app works by using songs from your music library, YouTube and many other sources and seeding them to all the other iOS devices, turning them into to a loud speaker – the more devices added, the louder the volume. The app must be installed to each of the iOS devices while using the same WiFi network. Download Seedio from iTunes App Store. 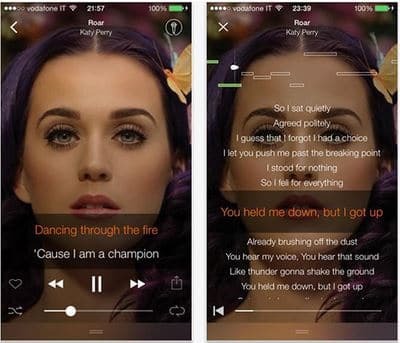 musiXmatch is an app that will find lyrics of songs you have in your iPhone music library. The app not only lets you obtain lyrics of songs in your iPhone, but also detects lyrics from songs playing in the radio or TV and sync them along. Download musiXmatch from the App Store. We know that creating an iPhone custom ringtone is not as easy as it is on Android devices. If you’re jailbroken you can easily create an iPhone ringtone using the AnyRing app from Cydia. If you’re not jailbroken, the only option is to manually create the ringtone using iTunes. 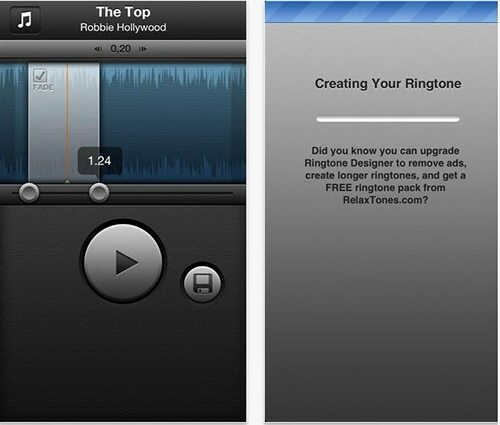 But if you’re not jailbroken or creating the ringtone using iTunes is too complicated for you, then the best thing you can do is download the Ringtone Designer iPhone app. With the app, you can easily create custom ringtones, text tones, and alerts using songs from your iPhone music library. Although it’s easier than previous methods, the app still requires you to use iTunes. After creating the ringtone in the app, just sync your iPhone with iTunes, go to the Apps tab, go down to File Sharing and select the Ringtones app. From there you can save the tones somewhere in your computer, drag it back to iTunes, and it should now be in your Tones tab. Download Ringtone Designer from iTunes. 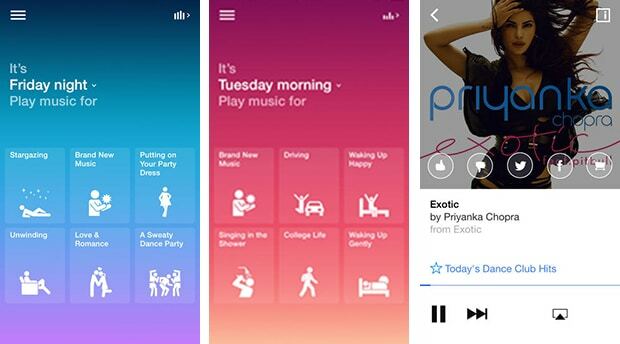 Songza is a music app unique from others. It does not download songs or create ringtone, the app find and plays music based on what you’re doing or on how you feel. The app contains thousands of playlists handpicked by music experts and DJs that are suitable for the right moment. You can find handmade playlists for many different activities such as breaking up, gaming, house party, getting high and much more. You can also find playlists based on moods, genres, and decades. The ad-supported free version is available on the App Store, and can be upgrade for ad-free version for $3.99 / month. If you love to watch live music and concerts, then the Qello app is for you. With the Qello app, you can stream HD concerts and music documentaries from Qello’s library. Although this app is not completely free, the app allows you to watch one track from every concert for free and a preview of every documentary. The app offers a 7-day free trial for those interested in concerts. 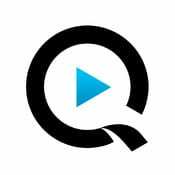 Download Qello from iTunes App Store. 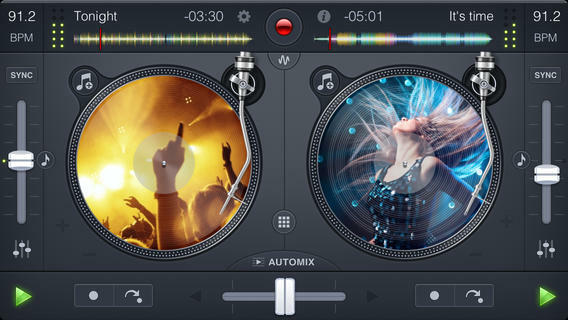 Looking for a mixer app… for free? If you’re looking for a mixer app just to mess around with your songs the best app you can download is the free version of djay, djay LE. Djay LE will let you play around with up to 25 of the songs you have in you iPhone music library. In this app you’ll find many features found in the paid version including cue point trigger, high-quality scratching, pitch-bend, mixer, tempo, EQ controls, and AirPlay integration. Download djay LE from the App Store. If you listen to most of you songs through YouTube, VIATube is an app that you should have. This app is very useful for those who have a limited data usage or found themselves with a carrier like Sprint – where you have to wait three minutes to watch a one second video. With the ViaTube app, you can save YouTube videos in your phone and watch them on the go without wasting your data or waiting for your slow data to load. The app will play cache videos continuously in the background. It also lets you caches video in HD, import playlists from YouTube account, and supports AirPlay. Download VIATube from iTunes App Store.